On March 1st, SG announced a deal with EsysnetG. Indeed, under the terms, SG confirmed they had bought the Brazilian company. Until today, EsysnetG was unknown by many experts of the industry. But know that they specialized in video bingo. Also, it’s worth remembering that Video Bingo is not a product currently offered by SG. Granted that the world renown provider distributes a few bingo games. But they’re not live streamed, unlike EsysnetG product. By acquiring EsysnetG, its believed that SG will provide future video content to operators. Indeed, EsysnetG product could find they ways to online, mobile and land-based casinos. Especially given SG capacity to distribute content. Following the news SG, Executive director Derik Mooberry said. “We want to welcome EsysnetG to the SG family. This acquisition will allow us to enhance our bingo content. It’s an example of our investment in helping casinos offer better and broader games. ” The press release made no mention of who would head up the new division nor of the purchase price. We think it’s likely to fall under Ashley Sandyford-Sykes. Since he was recently appointed digital and sports technology Senior VP. A crucial part of his new role is to head up the 9… Well, now 10 digital subordinates owned by SG. It sure seems that 2018 is a year of acquisition for SG. Plus it looks like the group is investing in development. If you remember, a few months ago SG bought NYX Gaming. NYX not only distribute games. But they have a robust casino engine that many PA casinos could use once they go live. Some experts also think that NYX platform could soon distribute Video Bingo. This is because NYX developed a Cloud-based tool for that purpose. 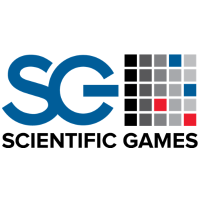 It’s also worth knowing that SG will likely distribute games for PA online casinos. We only hope the new Video Bingo content will be ready on time for Pa casino to distribute it on launch date.